The BO 105 PAH-1 is a rank VI Germany utility helicopter with a battle rating of 9.7 (AB/RB/SB). 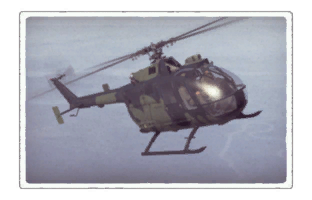 This helicopter was introduced in Update 1.83 "Masters of the Sea". Examine the survivability of the helicopter. Note how vulnerable the structure is and how secure the pilot is, how many engines the vehicle has. Describe the armour, if there is any, also mention the vulnerability of other critical aircraft systems. Describe the offensive armament of the helicopter, if any. Describe how effective the cannons and machine guns are in battle, also what ammunition belts or drums are better to use. If there is no offensive weaponry, delete this subsection. Describe the helicopter's suspended armament: additional cannons under the winglets, any type of bombs, and rockets. Since any helicopter is essentially only a platform for suspended weaponry, this section is extremely important and deserves your special attention. If there is no suspended weaponry remove this subsection. 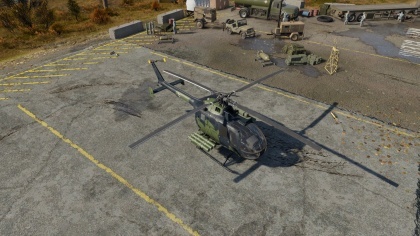 Describe the tactics of playing in the helicopter, the features of using vehicles in a team and advice on tactics. Refrain from creating a "guide" - do not impose a single point of view but give the reader food for thought. Examine the most dangerous enemies and give recommendations on fighting them. If necessary, note the specifics of the game in different modes (AB, RB, SB). Describe the history of the creation and combat usage of the helicopter in more detail than in the introduction. If the historical reference turns out to be too big, take it to a separate article, taking a link to an article about the vehicle and adding a block "/ History" (example: https://wiki.warthunder.com/(Vehicle-name)/History) and add a link to it here using the main template. Be sure to reference text and sources by using <ref>, as well as adding them at the end of the article. This page was last edited on 8 March 2019, at 18:00.